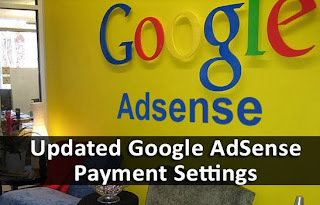 If you've been actively following your AdSense progress lately, then you will have noticed that Google has made quite a few changes in the Payments and Accounts Settings pages in your account. This is because Google has made efforts to improve its Payments systems, which are now more flexible, and offer a lot more benefits to the users. This initiative comes right after Google's plan to update the Terms of Service for all products under Google. Quite a few changes can be seen on the redesigned Payments summary and settings pages. Most apparent are the changes in the interface options, which have been mostly renamed. For example, 'Payment method' is now called 'Form of Payment' etc. You can also see a completely redesigned transaction history table that shows you the latest activities at the top.A new toolbar support has been added as well, which allows you to filter, print, export, or download transaction information. With these new changes, Google aims to improve its Payments systems, which are now more flexible, and offer a lot more benefits to the users. Unlike before, you now have a new extended timeline. This allows you to change your payment information until the 20th of any month. So if you change your mind at the last minute, and want to receive payments through another way, you have more time now than you previously had. The navigation of the payments interface has been improved as well. You now have centralized locations to manage your Payment settings and Payee profile. Additionally, contextual help is displayed based on the pages you navigate to. Going forward, all new earnings and future payments will appear on the new "Payments" page. You can find details for prior earnings and payments we've previously sent by following the link to "previous payments" at the bottom of the new "Payments" page. Thanks Google for giving us more flexibility and thanks you for share a new information. Sigh , when google support paypal ? Thanks for this info. Soon to be a happy publisher. MBT ebooks inspired me a lot during those days of my struggles THANKS THANKS THANKS THANKS THANKS THANKS THANKS THANKS MBT!!!!!!! Great information bro, please I noticed people have not been talking about acceptance to google adsense this day, please has anyone lately been accepted by Google?